Sean P. Diddy Combs is denying a L.A. Times article that he is linked to the 1994 shooting of rapper Tupac Shakur. Diddy issued the following statement in response to the story. "This story is a lie," Combs said in a statement on Monday. "It is beyond ridiculous and is completely false. Neither Biggie (Wallace) nor I had any knowledge of any attack before, during or after it happened." Here's an excerpt from the controversial article below. It was a portentous moment in hip-hop -- the start of a bicoastal war that would culminate years later in the killings of Shakur and rap's other leading star, Christopher Wallace, better known as the Notorious B.I.G. The ambush at the Quad remains a source of fascination and frustration to music fans and law enforcement officials alike. No one has ever been charged in the attack. The information focuses on two New York hip-hop figures -- talent manager James "Jimmy Henchman" Rosemond and promoter James Sabatino, who is now in prison for unrelated crimes. FBI records obtained recently by The Times say that a confidential informant told authorities in 2002 that Rosemond and Sabatino "set up the rapper Tupac Shakur to get shot at Quad Studios." The informant said Sabatino had told him that Shakur "had to be dealt with." The records -- summaries of FBI interviews with the informant conducted in July and December 2002 -- provide details of how Shakur was lured to the studio and ambushed. Others with knowledge of the incident corroborated the informant's account in interviews with The Times and gave additional details. 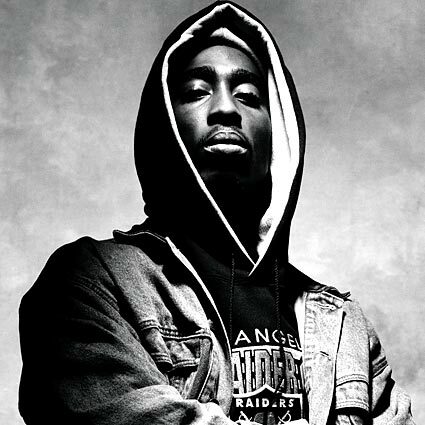 According to this information, Rosemond and Sabatino, infuriated by what they saw as Shakur's insolent behavior, enticed him to the Quad by offering him $7,000 to provide a vocal track for a rap recording. Three assailants -- reputedly friends of Rosemond -- were lying in wait. They were on orders to beat Shakur but not kill him and to make the incident look like a robbery, the sources said. They were told they could keep whatever jewelry or other valuables they could steal from Shakur and his entourage. Here is a clip from the 2002 Nick Broomfeld Documentary Biggie & Tupac. This film is recommended viewing for everyone interested in this story.